Friday was the 87th anniversary of the death if Rudolf Steiner. As I headed out to a screening of the new documentary The Challenge of Rudolf Steiner I reached for my hat only to notice, for the first time, how stereotypically anthroposophical it is. 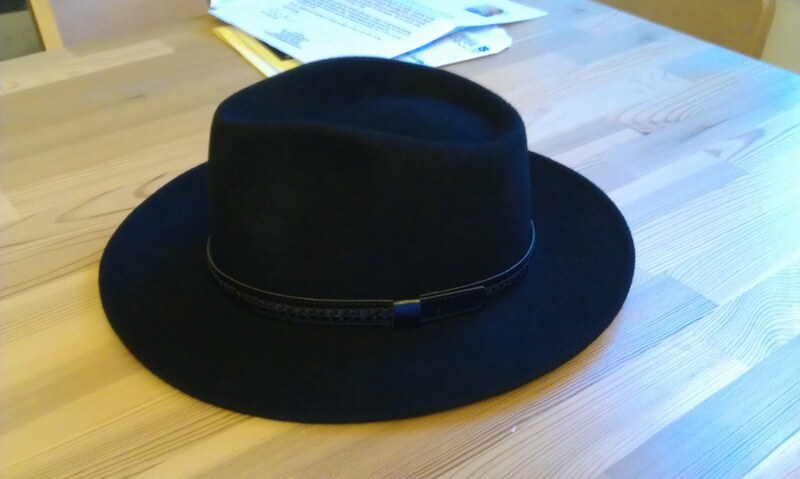 The number of anthroposophists who wear this style of hat from Peter Selg onwards must be quite high. However, I didn't choose this hat. It was bought for me by a friend who thought it would suit me, yet she has little exposure to anything Steiner related. Maybe it's just a fashionable hat or maybe the hat chose me? I have hung all systems on the wall like a row of useless hats. They do not fit. They come in from outside, they are suggested patterns, some dull and some of great beauty. But I have lived enough of my life to require a pattern that fits over everything I know; and where shall I find that ? Then why do I write this down ? Is it a pattern I am looking for? That Marxist hat in the middle of the row, did I ever think it would last me a lifetime ? What is wrong with the Christian biretta that I hardly wore at all ? Nick's rationalist hat kept the rain out, seemed impregnable plate-armour, dull and decent. It looks small now and rather silly, a bowler like all bowlers, very formal, very complete, very ignorant. There is a school cap, too. I had no more than hung it there, not knowing of the other hats.